If you want to change the world, you can do so by becoming involved in a non-profit organization. Whether you are managing, volunteering, or a paid worker for a non-profit, you can benefit from connecting with others. The Internet makes it easy to share experiences and get ideas. Use these sites to connect with others in the non-profit arena. You can find other non-profit employees and volunteers. You can also look for jobs in the non-profit sector and make connections that can lead to lifelong relationships. Jumo: Connect with individuals and organizations interested in making the world a better place. Find worthwhile causes, and chat with other non-profit workers. Change.org: You can visit with others, and you can even create a petition. Connect with other non-profit enthusiasts as you sign petitions and support causes of most import to you. Friction.tv: Social activists can connect to each other using this site. You can share your views, respond to others, and join the debate. Plus, you can meet other activists involved in non-profits. HumaniNet: If you are interested in working to reach out to rural populations, you can connect to others with the same goal. Share Your Story: Great community for people involved with non-profits related to birth. This network is run by the March of Dimes. NetSquared: Meet others involved with nonprofits, and learn how to make the most of social networking. 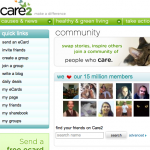 Care2: Join this community aimed at non-profits, causes and more. A great way to connect with others who are passionate about changing the world. Causes.com: Create your own cause community, and find others who share your passion. idealist.org: Connect with others working in non-profit organizations, as well as look for career opportunities in the non-profit sector. The Chronicle of Philanthropy: All about ideas, people and more related to non-profits. You can connect with others, and find causes to support. NonProfitJobs.org: You can network with non-profit organizations and other workers when you visit this site. Find out about what’s available. Connect with others who need your help, as well as connect with other volunteers and employees. These social giving web sites often you give the chance to meet interesting people online while helping others. Check out the forums for ways to meet other non-profit workers. 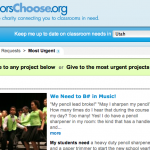 Donors Choose: Connect with classrooms in need. A great place to connect with others interested in helping, from non-profits and other organizations. Kiva.org: This site helps you help others. You can connect with others in the community, and be part of something larger. A number of communities within the larger Kiva.org community can connect you with other volunteers and non-profit workers. ActiveCause: Connect with others from around the giving world to help others. RT2Give: A fascinating site that allows you to help connect with non-profits through Twitter. It’s about donating via Twitter — and sharing with others. Social Edge: Connect with non-profit workers and social entrepreneurs interested in ways to help others around the world. Investing in social change, and discussing it. Do the right thing: Share great ideas with companies about what they can do to improve the way they operate. Discuss with other volunteers and non-profit workers. A great place to congregate with the like-minded. jchoice.org: If you are young and Jewish, this is a great social network for you. Connect with non-profit workers and volunteers, and decide on causes to support. Build your own network, and find out how you can help. You don’t need to limit your efforts at social networking to web sites aimed specifically at non-profits. Indeed, many more “traditional” social networking sites have ways for you to join different groups so that you connect with others involved in non-profit movements. Facebook: One of the best things you can do if you want to meet others involved in non-profits, and spread the word about your cause, is to be on Facebook. 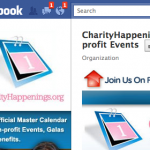 You can start a Facebook page or group centered around non-profit networking. This is one of the best ways to connect with others. Twitter: Look online at Twitter for the accounts of non-profit organizations and non-profit workers. This way, you can follow what others are saying about the field, and connect and make new online friends. Also use hashtags to draw attention to your interest in non-profits. LinkedIn: If you work in non-profits, this is a great way to network with others in the field. You can join in and meet plenty of people who are in a similar field. Make contacts that you can use to help you find your next non-profit job, or that you can use to help you with your next event. It’s also possible to form groups in LinkedIn. MySpace: You can use MySpace to build a network around your non-profit experience. Connect with other non-profits through the site, and find other volunteers. del.icio.us: You can search this site for bookmarks related to non-profits. It’s a great way to find others involved in non-profits. It will give you some good ideas, and point you toward blogs of non-profits. Perfect for finding people you want to connect with. YouTube: You can join a number of non-profit groups and make friends with volunteers on this web site. YouTube even features the DoGooder Non-Profit Video Awards that provide you with information about the best non-profit productions. If you want to connect with other non-profit workers, you can do it through video with the help of YouTube. Flickr: Like many other social networking and social media sites, you can join groups on Flickr. There is a Nonprofit Organizations group that you can join. You can also look through images to find people to connect with on Flickr. It’s a great tool for you to get the word out about your organization, and meet others.